No matter if you’re a passionate hiker who can’t wait to explore new trails, or a beginner at this amazing hobby who can’t decide where to start – you’ll definitely find something useful here, so be sure to stay with us and keep on reading. Here’s a list of 4 best hiking trails on the UK coast, together with some tips on how to get ready for some new adventures, so check them out! 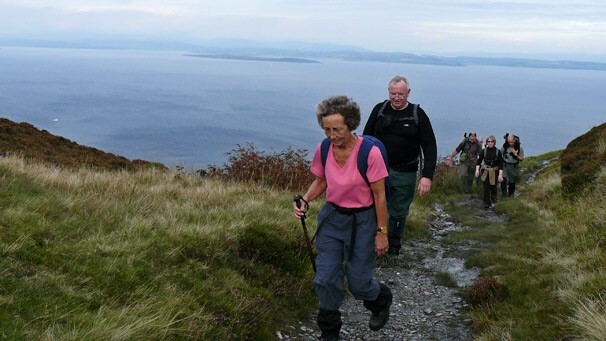 If you would like to explore Scotland at its finest, the Isle of Arran will definitely be your cup of tea. 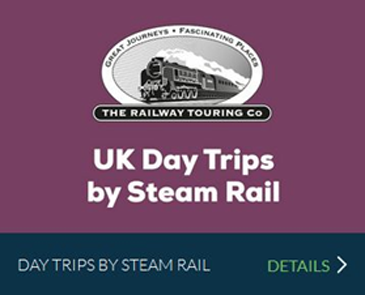 First of all, it can be considered as Scotland in miniature, since it has a perfect setting of beautiful beaches and bays complemented with the grand central mountain group that’ll take your breath away. This hiking trail is about 10 miles long, and it’ll take you approximately 5 hours to complete it. The unspoiled coastline is patiently waiting for nature lovers to come and explore it, and we can say that the raised beach that almost encircles the island is a sight worth seeing. When you get a bit tired, you can always visit a charming brewery near Brodick to relax and get some rest. 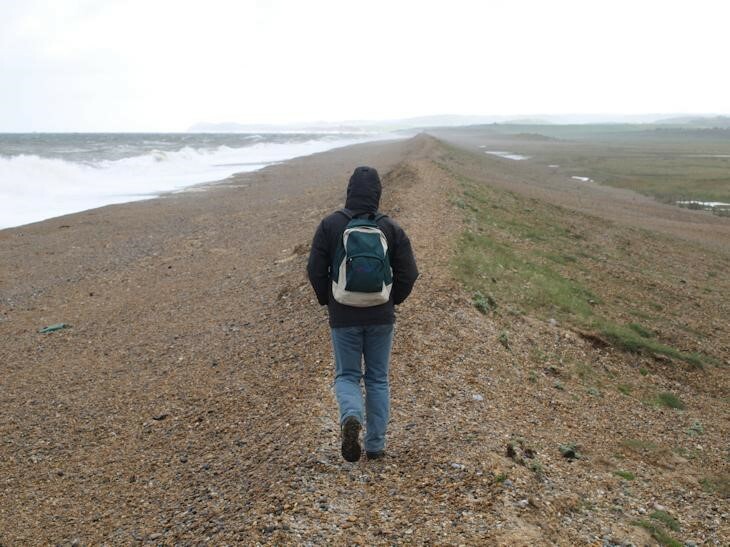 Contrary to the previous hiking trail, this one is almost 32 miles long, which makes it one of the longest on the UK coast. You’ll have to walk for about 16 hours to complete it, which can be a true challenge for both beginners and experienced hikers. The fact that this trail includes the highest point on the South West Coast Path just confirms the previous claim – at 1044 feet, Great Hangman is England’s highest sea cliff that offers stunning views over the surrounding countryside. 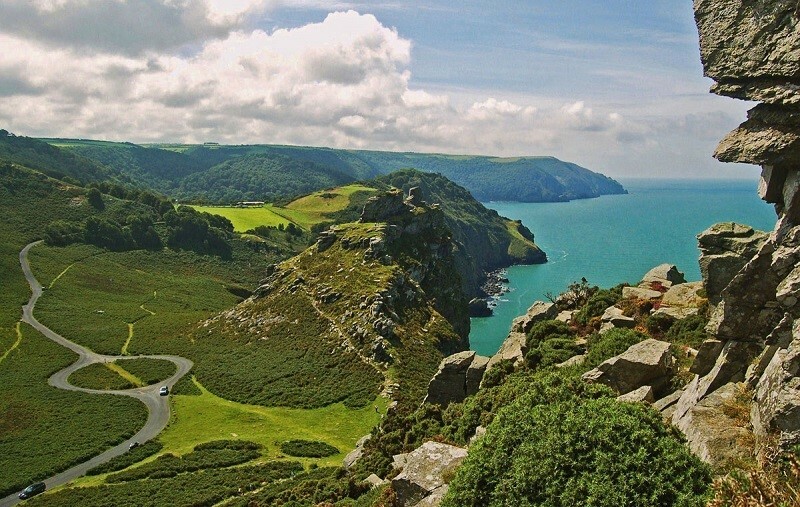 A number of bays and coves will make this whole experience even more exciting, as well as water-powered cliff railway that connects Lynton and its neighbor, Lynmouth. Similarly to the Isle of Arran hiking trail, this one is also about 10 miles long, which means that you’ll probably complete it in approximately 5 hours. If you’re a fan of wonderful white sand, this trail will definitely be your favorite. Sandalwood Bay offers almost two miles of white sand, with some breath-taking dunes in the background, which is exactly why we’re sure that you’ll absolutely love it. This bay is located near the north-west tip of the British mainland, and you’ll have to walk for almost five miles by moorland to approach it. To start your adventure, you’ll have to begin from Kinlochbervie – a harbor village known for a fish market that takes place every weekend. Be sure to visit it if you found yourself there, and you definitely won’t regret it. 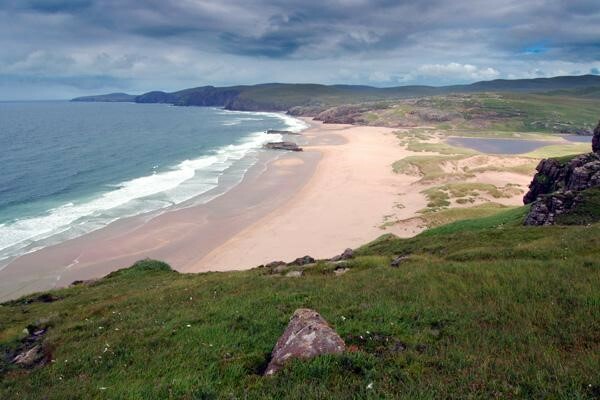 Besides that, a fantastic beach in Oldshoremore will surely sweep you off your feet as well. Another quite long hiking trail awaits you in North Norfolk – it’s about 30 miles long and it’ll take you from Burnham Deepdale to Sheringham. As for the time you’ll need to finish it, it’ll probably take you about 12 hours, which is completely fine for such trail. 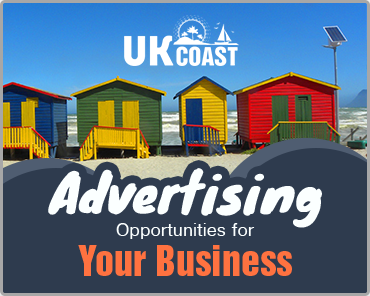 When it comes to setting, it has literally anything you may need – from mudflats and saltmarshes, to gorgeous beaches and crumbling cliffs. Even though it’s really long, this trail is really simple at the same time – just follow the signs along the path and you’ll do fine. Remember to keep the sea on your left all the way, and you’ll reach Sheringham without any troubles! How should I get ready for my new hiking adventure? 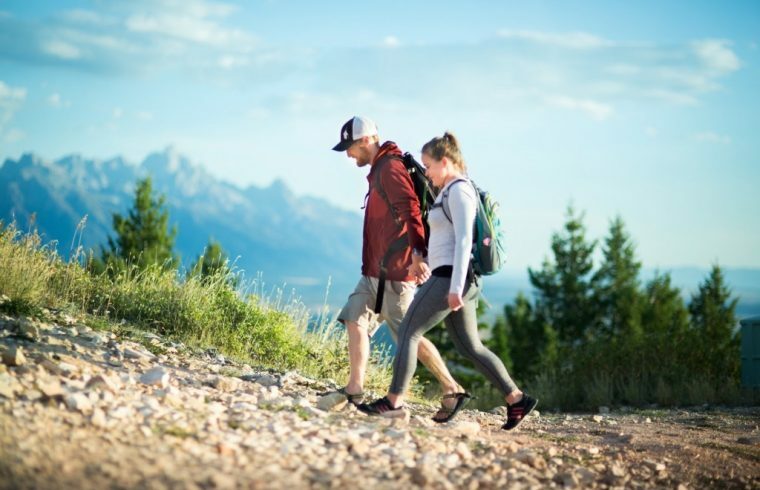 There’s a list of essentials you’ll need for your hiking adventure, no matter if you’re a novice at this activity or an experienced hiker. First of all, you should always have a map in your backpack, together with sunglasses, sunscreen, flashlight and extra batteries, and a first-aid kit. As for your clothes, one of the most useful techniques is layering, so be sure to layer up based on the forecast. Avoid cotton and opt for wicking shirts and underwear, since they won’t absorb sweat but pull it away from your body. A warm fleece jacket is another essential, as well as comfortable New Balance shoes you can walk in all day long, without any problems. When that’s done, just pack some healthy snacks and bottled water, and you’re good to go! As you can see, each of these four hiking trails is absolutely outstanding, and they indeed have so much to offer. 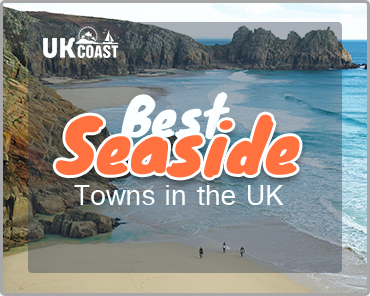 Just be sure to stick to our tips, and you’ll undoubtedly have the time of your life, no matter which hiking trail on the UK coast you opt for!